"Mark Shea has written the single most helpful book on Sacred Tradition written in our generation... In Mary, Mother of the Son, he takes us to the summit of creation, the Ark of the New Covenant, the true tabernacle of the Lord. 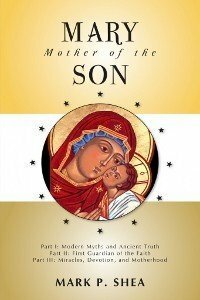 To read this book is to love Christ as a brother, by honoring the mother he shares with us (John 19:27)." -Scott Hahn, Ph.D., Professor of Scripture and Theology, Franciscan University of Steubenville. This edition contains all three volumes of the original series.